What is the vision for Kaka’ako Makai, Honolulu? This is a photo circulating in facebook. It explains the situation clearly. Many Hawaii residents are perturbed that Senate Bill 3122 will allow the Office of Hawaiian Affairs (OHA), a state agency to develop residential high-rises within Kaka’ako Makai (ocean-side) – Honolulu’s last remaining public shoreline area, where residential development is now prohibited by law. “SB 3122 SD2 seeks to exempt OHA, now owner of several Kakaako Makai parcels, from the 2006 law which prohibited residential development of land makai of Ala Moana Boulevard between Honolulu Harbor and Kewalo Basin.Residential development in Kakaako Makai was banned by the legislature after massive citizen protests against an A&B proposal to construct several 200-foot condo towers there. HCDA law §206E-31.5…prohibits the authority from: (2) Approving any plan or proposal for any residential development in that portion of the Kakaako community development district makai of Ala Moana Boulevard and between Kewalo Basin and the foreign trade zone. Kakaako Waterfront Park is one of the last strips of open space and parkland with public access to the shoreline along the urban Honolulu coastline. Kakaako Makai offers open access to shoreline fishing, diving and popular body boarding and surf sites, as well as a waterfront promenade, picnic areas, and significant panoramic views. OHA knew of the residential restrictions when they accepted the Kakaako Makai property, but now wants to develop 4 or 5 condo towers. 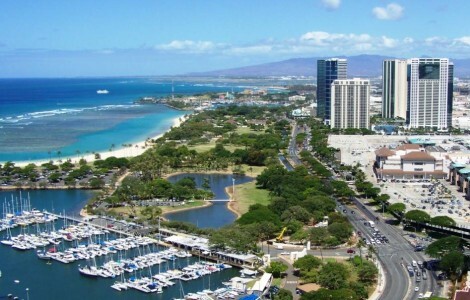 SB 3122 SD2 Status: Hawaii Community Development Authority – Allows the OHA state agency to develop residential high-rises within Kaka’ako Makai ( oceanside) – Honolulu’s last remaining public shoreline where residential development is now prohibited by law. Measure Title: RELATING TO HAWAII COMMUNITY DEVELOPMENT AUTHORITY. Description: Authorizes residential development on certain specified parcels of land owned by the office of Hawaiian affairs in Kakaako. Requires applicants for residential development to hold a public hearing regarding a plan or proposal for residential development in Kakaako and consider all written and oral submissions from the hearing prior to submitting the plan or proposal to HCDA for approval. Requires HCDA to hold a public hearing and fully consider all written and oral submissions received at the hearings held by the applicant and the HCDA prior to approving any plan or proposal for residential development. Establishes a Kakaako makai association fee and Kakaako makai special account to fund various public services and projects in Kakaako. Exempts the Office of Hawaiian Affairs from section 206E-12, HRS, regarding the dedication of public facilities by developers as a condition of development in Kakaako.